AsiaOne Business News released an article on the expectation of Singapore to dislodge Switzerland as the world’s wealth management capital last week. AsiaBiz Services, Singapore’s leading company formation consultancy, affirmed that the main reasons for the country’s acquisition of its enormous share of global offshore wealth are attributed to its impending compliance with FATCA and the influx of high net worth individuals (HNWIs). The article states how Singapore will supercede Switzerland to clinch the top spot in global offshore wealth management by 2020. It cited the London-based research firm WealthInsight’s report in April 2013 that Switzerland’s offshore assets is expected to fall below $2 trillion by 2016, while Singapore’s assets is anticipated to quadruple by then. In addition, the PricewaterhouseCoopers’s Global Private Banking and Wealth Management Survey 2013 anticipated Singapore to leapfrog Switzerland as an international financial centre. More recently, the World Wealth Report 2014 released in March 2014 by London-based Knight Frank revealed that Singapore leads the race as Asia’s financial epicentre. According to the Monetary Authority of Singapore (MAS), Singapore has speedily grown its assets under management from $1.17 billion in 2007 to $1.63 trillion in 2012. This already makes the city-state the globe’s fastest growing wealth centre and accountable for almost two-third of total assets in the Asia-Pacific region in 2011. Amid the recent spate of international wealth scandals and prosecutions, Singapore has finalised the inter-governmental agreement (IGA) to comply with Foreign Account Tax Compliance Act (FATCA). This compliance with this act enhances Singapore’s international reputation as a centre for wealth management by allowing more transparency and ease in exchanging vital financial information. According to analysis by WealthInsight, more funds are also expected to flow into the city-state as Switzerland falls out of favour with the ultra-rich owing to the increasing scrutiny their bank secrecy laws receive from the EU and US. 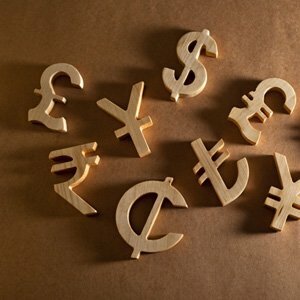 Benefiting from the diminishing confidence of these traditionally popular financial havens, attractive Singapore personal tax rates and its adherence to international operations standards have managed to catapult it to the top of the global financial industry. According to Knight Frank’s news release from last week titled Which Cities Matter Most To High Net Worth Individuals? Singapore was stated to be highly favoured as a global city that is easily connected to financial markets in the region and the world. The Global Cities Survey that is part of the World Wealth Report 2014 also unveiled that the city-state will draw the greatest number of HNWIs in the next decade more than any other city in the world, dubbing it the world’s next financial nerve centre. Additionally, the nation is also reported to contain the world’s highest percentage of millionaire households, according to a Global Wealth report by the Boston Consulting Group titled Shaping a New Tomorrow: How to Capitalize on the Momentum of Change. This means there are more than 150,000 high net worth individuals who are worth more than a $1 million in this tiny Asian nation, where one in every 20 Singaporeans is forecasted be a millionaire by 2017 according to the Singapore 2013 Wealth Book by WealthInsight. “All these studies and news releases clearly point to how Singapore is in good stead to become the world’s number one destination for the super rich, and there seems to be no turning back for Singapore”, declared Mr. James Nuben, Head of Taxation at Asiabiz Services. Ready to start a wealth management company in Singapore?